Are you thinking about downsizing but the thought scares or overwhelms you? Are you procrastinating because you are afraid of making decisions about your stuff? Whether you are trying to have less stuff in your current home, or you are planning a move, letting go of some of your stuff may be a difficult step. 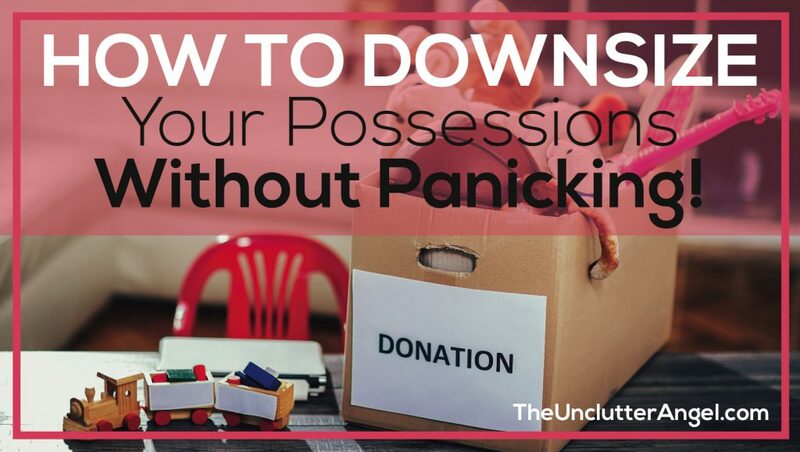 There are ways to support you and your family when downsizing your possessions without panicking. You may even get some momentum and it will be easier than you think! What are your reasons for wanting to downsize? What started you on this journey to have less? It’s important to be very clear as to why you are downsizing. 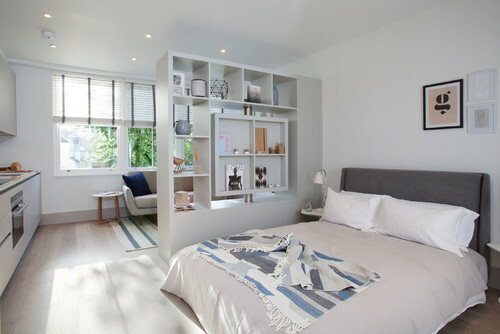 You want to have more space in your current home? You are moving to a smaller home? You are helping a parent move to a new location? You need to save money? Writing your thoughts and goals down on paper will help you to get super clear. To see it on paper and get it out of your head will give you the ability to see even more detail regarding your goals. 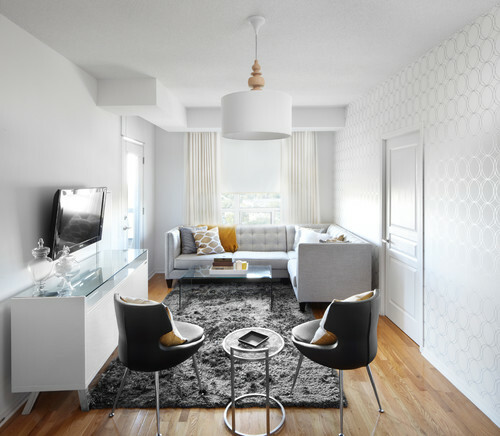 What would downsizing look like to you? Less work and less to manage? More time to do what you enjoy? Feel free from your stuff? Your ideas and notes are super valuable! Having it on paper will help if you are working with others on your project, and keep you focused if you get discouraged and start to slow down or even want to quit. If you feel hesitant to get rid of things you own, especially items that have memories attached to them, documenting can be extremely valuable. 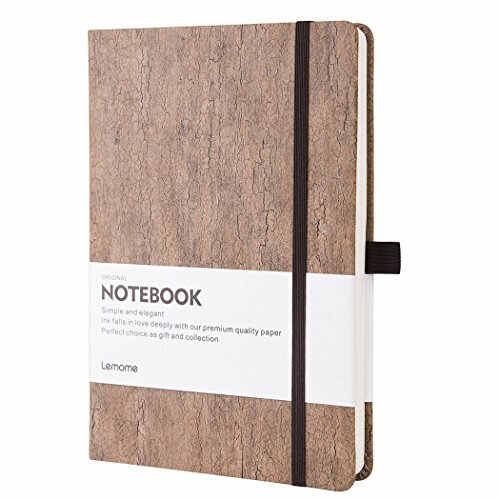 Journaling has become very popular. It’s not only a great way to document memories and emotions, but can the very artistic, and even therapeutic. 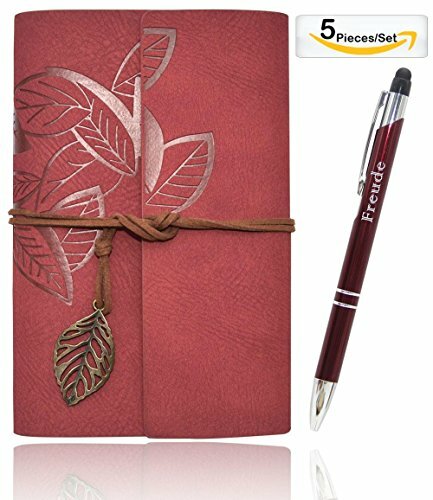 Instead of storing boxes and boxes of items from the past, you can create a beautiful journal that contains your personal memories, or a journal that you would love to share with family, including your kids and grandkids. A journal(s) is much easier to keep and store. It is also a wonderful tool that families can use as their parents/grandparents age. A wonderful way for families to keep fond memories alive. When our parents pass on their stuff to us, do we have the same memories or appreciation for the items? Probably not. 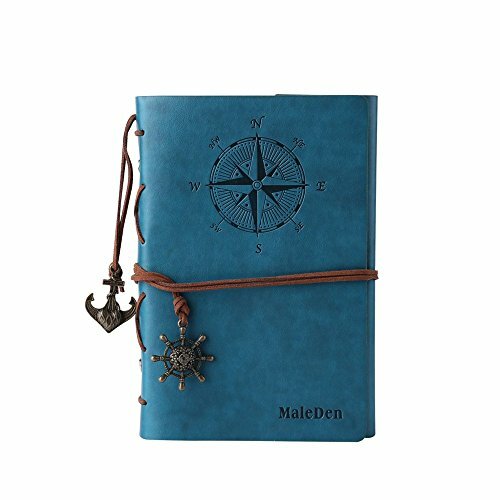 A journal can be a special way to share memories and not burden families with stuff that honestly means nothing to them. Journals can be very beautiful and have unique details in the cover and pages, making this process and end product very special. Words can be very powerful when journaling about memories and history in regards to our stuff we want to let go of. Photographs gives us even more courage to let go of items that we know in our heart we either don’t have the space for or we just don’t use the items. There are a number of apps and platforms online that you can upload your photos to for save keeping if you don’t get them into an album right away. Amazon offers a cloud platform, that you can also upload from your phone, that will keep your photos in one place. You can also order photos through Amazon using your app. I like using the Amazon photo app, we get it through our Amazon Prime Membership. What is nice is I can share photos with my husband, and it’s one more place to keep my photos safe, and access them easily. If you want to do more than take photos when downsizing your possessions, create a way to document the memories. Arranging photos of what you are letting go of in an album, is an easy way to do that! The perfect combination of journaling and using photos is to create a scrapbook. It is’t for everyone. Scrapbooks can be very artistic, and people love looking at them. 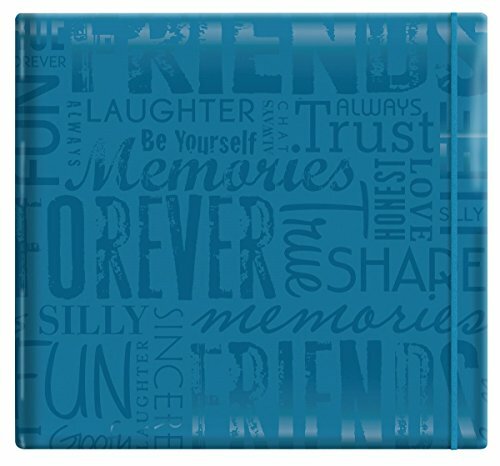 When a scrapbook contains beautiful fond memories that can tell a story to a family, that is priceless. That doesn’t mean that one needs to be artistic or talented with photographing. It is a personal reflection of the person who helps to create it. It can be a fun family project. You can work side by side with your parent, or you can surprised your loved one with what you have put together! There are many benefits to downsizing. Even though you may know that, you may still feel guilty or scared to let go of stuff. Why am I holding onto this? Am I afraid of losing a memory? Am I worried about hurting someone? Am I afraid I am wasting? Maybe you just need to feel ok about letting go of these items? Can you find a better home for these items? How is your life better by saving these things? When will you use them again? What would your loved one say if they knew you were agonizing over these decisions? Knowing that you don’t have to tackle a large project on your own will be a big relief! You may be the type of person who doesn’t want people touching your things. However, I encourage you to think about if that has helped you up to this point? Would you be open to the idea of someone helping you to get started? Sometimes getting started is the hardest part. Keeping the momentum can be a challenge too. We can start off really well making progress, only to get tired or burned out. It can be draining to make so many decisions and move stuff here and there. The whole house does not have to be done at once! Pacing yourself and having someone to help you, will get you to your goals without getting burned out or quitting. You may have someone that you are very close to and you trust their judgement. This may be someone who you know won’t judge you, that will be there to support you and your goals. When your friend comes over, considering offering snacks and drinks. Giving them an incentive, or even a meal as a thank you, can be an added motivator for you both. Family member may be helpful because they may know more of the family items you want to get rid of, but are struggling over. They can support you while making difficult decisions. They can also help you document the items, whether you are going to give-away, sell, or give to another family member. Keep in mind, that you don’t people to feel obligated to take your things. It may make you feel better to give your item to someone you care about, but you have passed the burden to the next person. People have a hard time saying ‘no’ when it comes to people they care about. Give them the disclaimer that they are not obligated to take what you offer. It is just an offer, no pressure. Maybe you feel that asking a friend or family member isn’t a good fit. There are many organizers that can help you stay motivated, on task, and be very helpful. They bring with them lots of experience and ideas that you may not get from a friend or family member. I have helped both friends and family members with organizing projects. I kept my”professional organizer” hat on, because that gave an outside perspective. Hiring an organizer can give you a fresh perspective on your situation. They can hold you accountable, which may be harder for a friend or family member to do. You can set a time to work on your project with an organizer around your schedule, and not a friend or family members busy schedule. Whoever you decide to ask to be a support system is during your project, pace yourself. You don’t have to downsize the entire house in a short period of time. If you have a deadline, plan accordingly in order to avoid overwhelm. 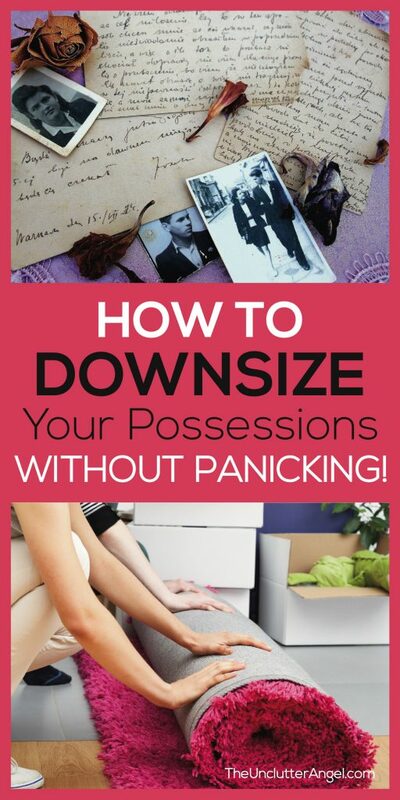 Downsizing does not have to be scary or feel overwhelming. Implementing these suggestions will help you to keep moving along in your process and overcome procrastination. Imagine how good you are going to feel completing this project!